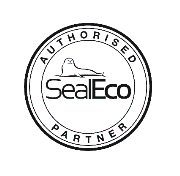 SealEco EPDM (Greenseal) pond liner is a synthetic rubber membrane with exceptional physical properties making it the ideal choice for lining ponds, lakes, lagoons and streams. Despite their different chemical compositions, SealEco EPDM and SealEco BUTYL look and feel the same. Continued rise in the cost of Butyl rubber polymer limits its economical application for lining ponds that require large quantities of material. 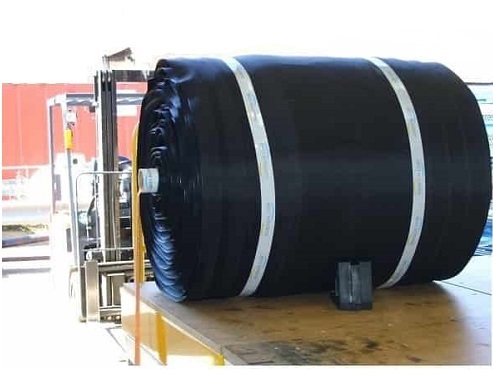 SealEco EPDM is the fish-safe EPDM pond liner produced by the same Swedish manufacturer that has supplied our Butyl for more than 30 years, SealEco AB(formally Trelleborg AB). 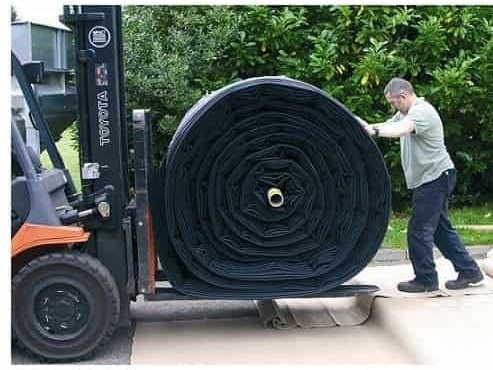 We originally used Greenseal EPDM for our tailor-made water tank liner range of products and extended its use into the pond liner flat sheet manufacturing side of the business. During production the EPDM is vulcanised (cured under pressure and heat) creating an elastic, chemically stable product with negligible aging through exposure to UV-radiation, atmosphere, chemicals, earth, water and extremes of temperature. SealEco EPDM pond liner is black in colour. The initials EPDM are derived from its major components of Ethylene, Propylene, Diene monomer and is an M class synthetic rubber. Interestingly Butyl Rubber actually has EPDM in its compound to enhance certain properties. Download the SealEco EPDM Specification Sheet from our downloads page. A 700 sq.m pond liner sheet all welded and rolled up leaves one of our production benches. All of our fabricated liners are rolled to fit a standard pallet for ease of delivery.